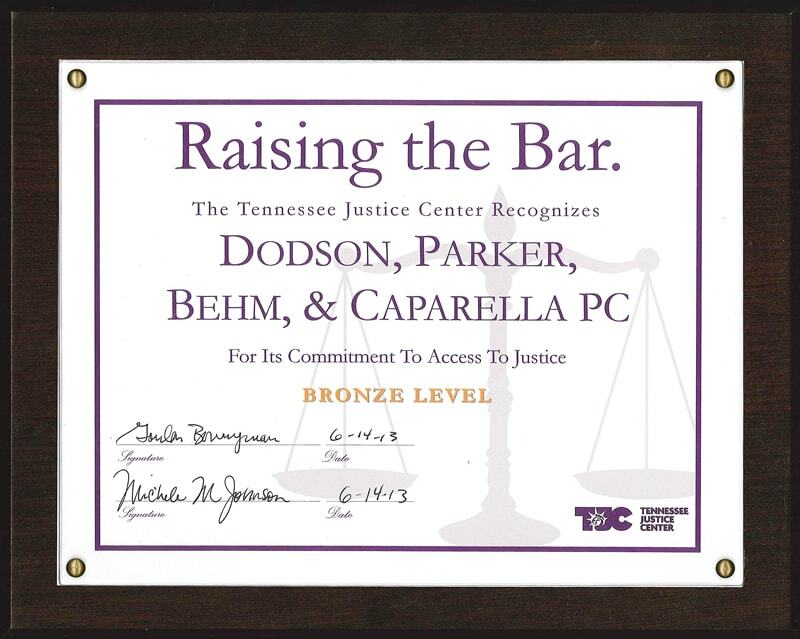 Each of the lawyers at Dodson Parker Behm & Capparella maintains a commitment to public service, community activism, and social justice. 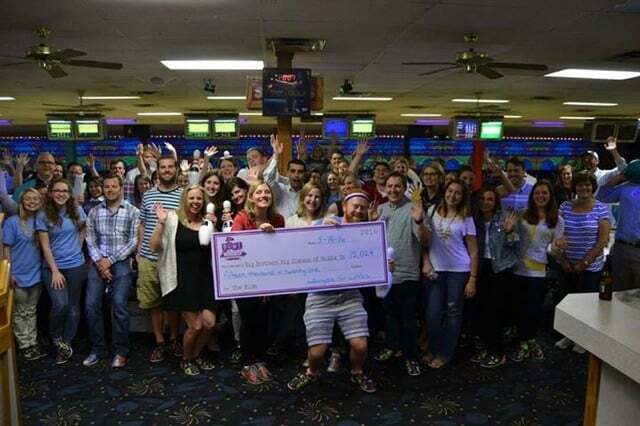 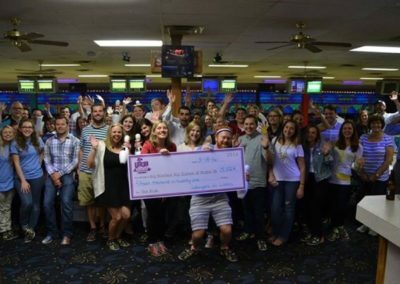 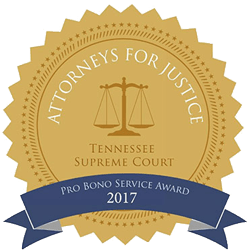 This commitment to public service is ingrained in the culture of the firm and is reflected in the many ways we serve our Nashville community, volunteer for local non-profit organizations, and provide pro bono legal representation to clients in need. 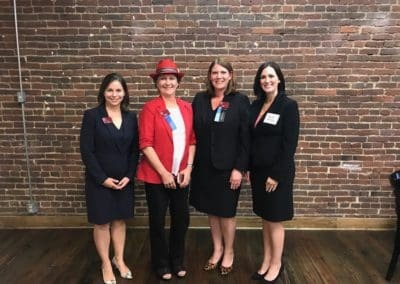 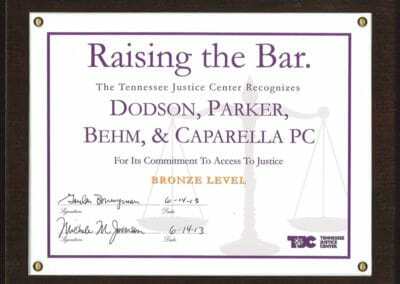 The firm is a founding and continuing member of the Tennessee Justice Center’s “Raising the Bar” Campaign to help ensure that families across Tennessee have access to the vital care that they need. 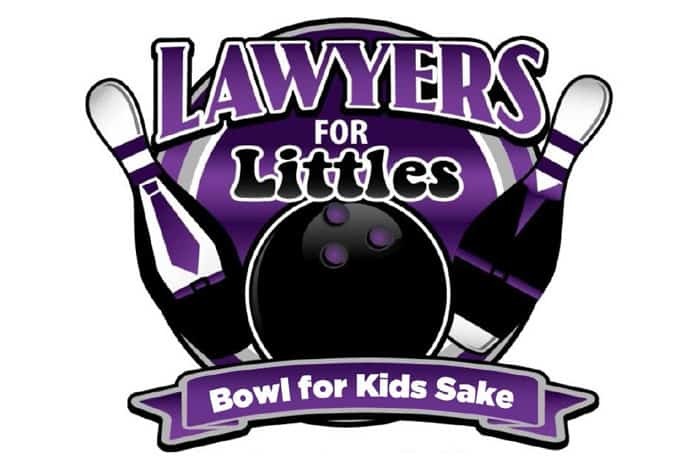 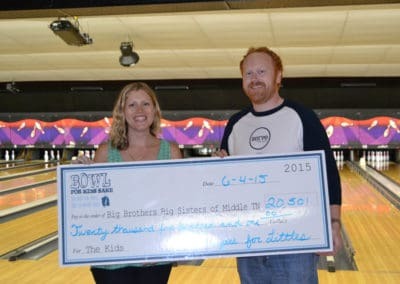 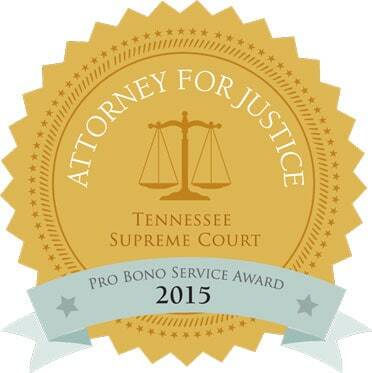 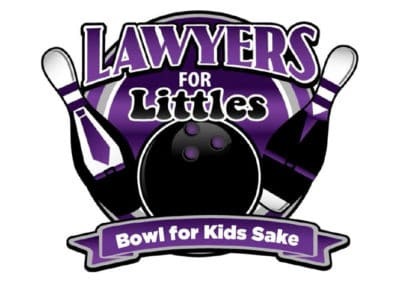 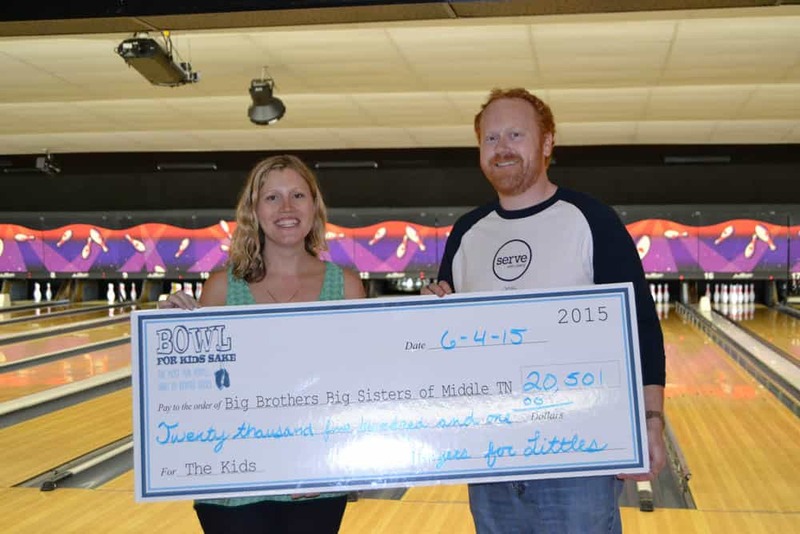 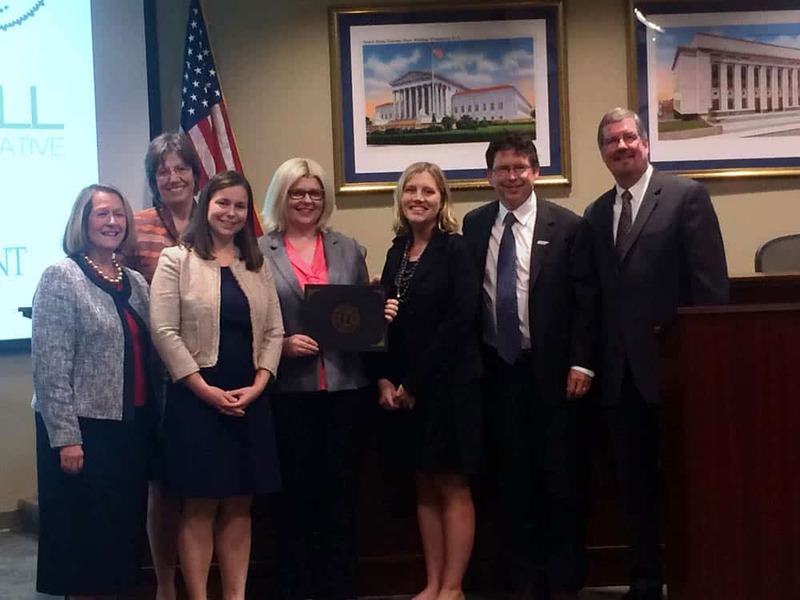 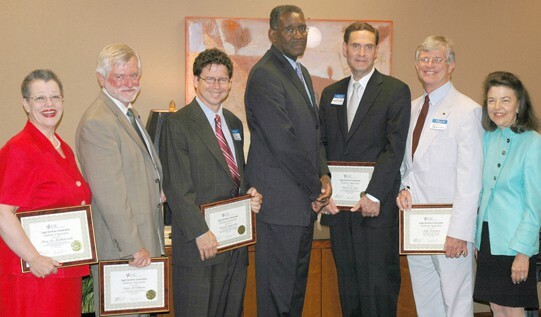 All of our attorneys pledge to provide at least 50 hours of pro bono service to Tennesseans in need each year. 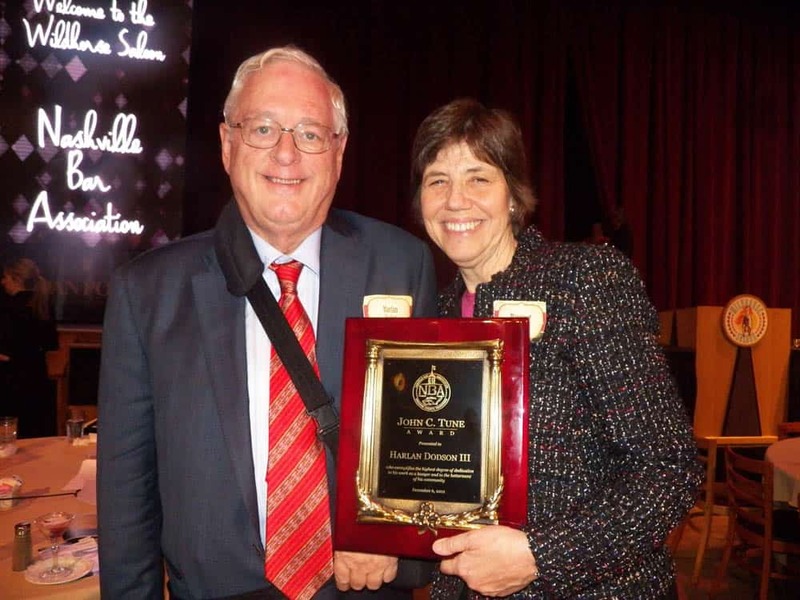 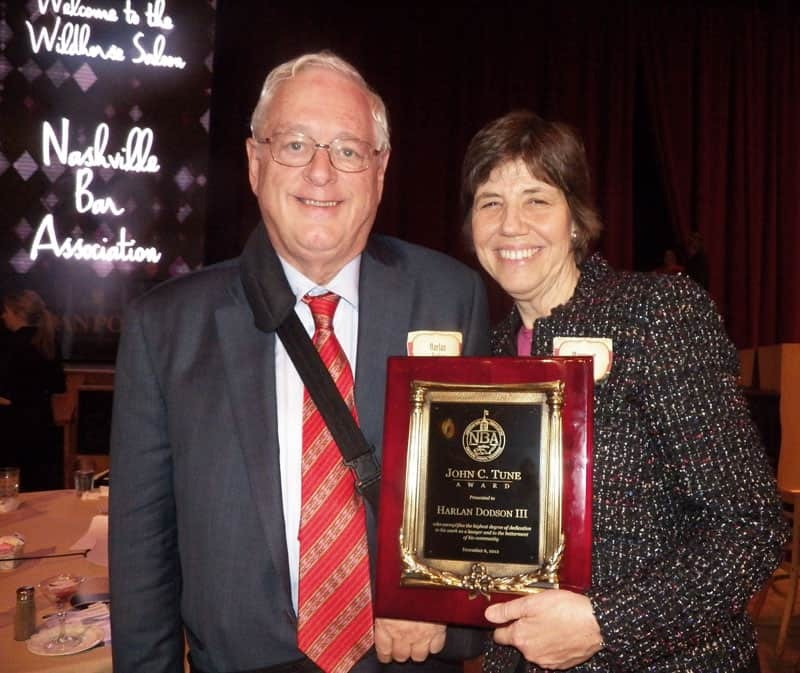 Margaret L. Behm and Harlan Dodson, along with firm alumnus Judge Richard Dinkins, have each received the John C. Tune Public Service Award—the highest honor presented by the Nashville Bar Association. 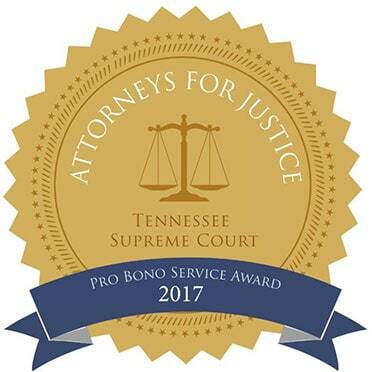 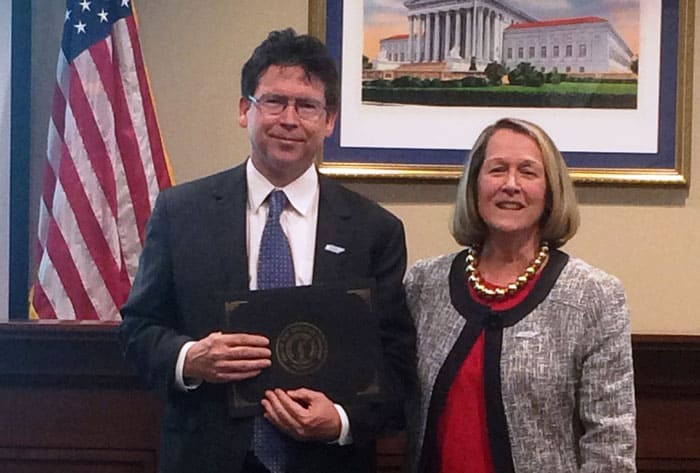 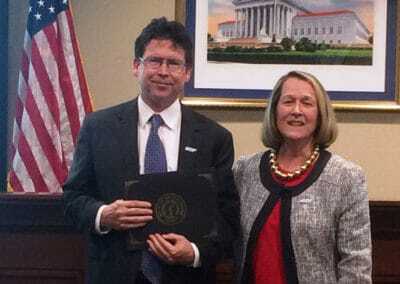 Donald Capparella received recognition for extraordinary commitment to providing pro bono service and equal access to justice to clients of Tennessee’s LSC-funded programs like Legal Aid. 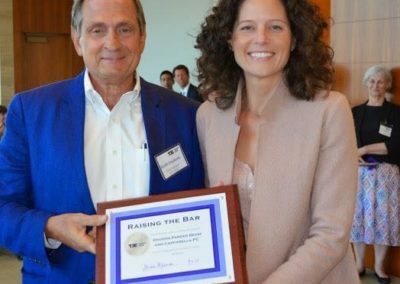 The Center for Nonprofit Management named him “Board Member of the Year” for service to the Nashville Shakespeare Festival. 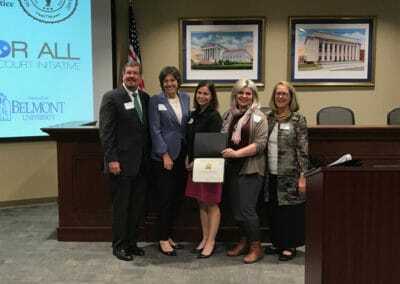 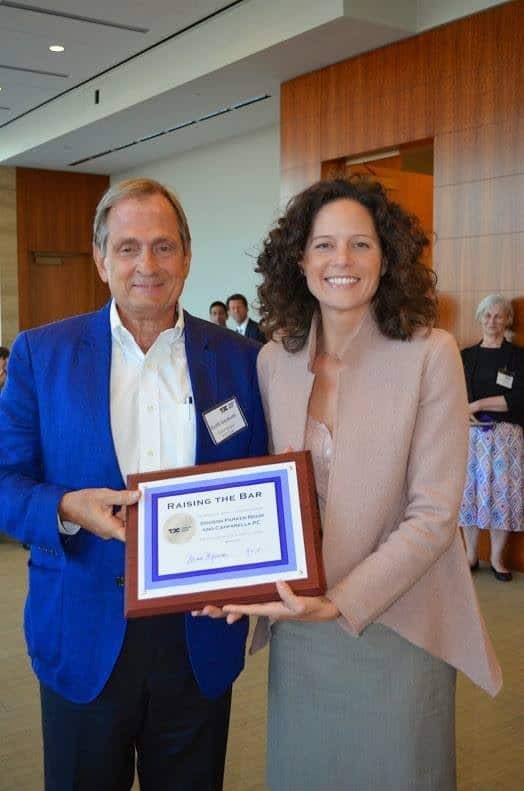 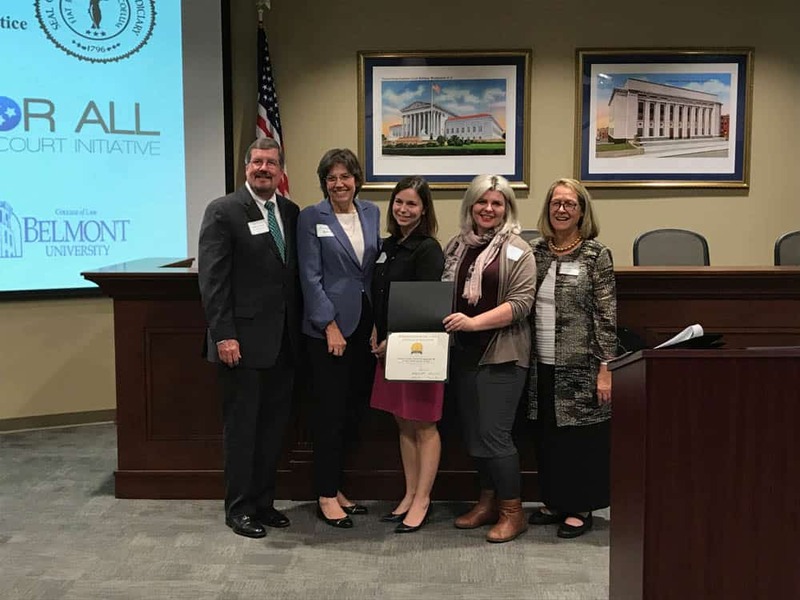 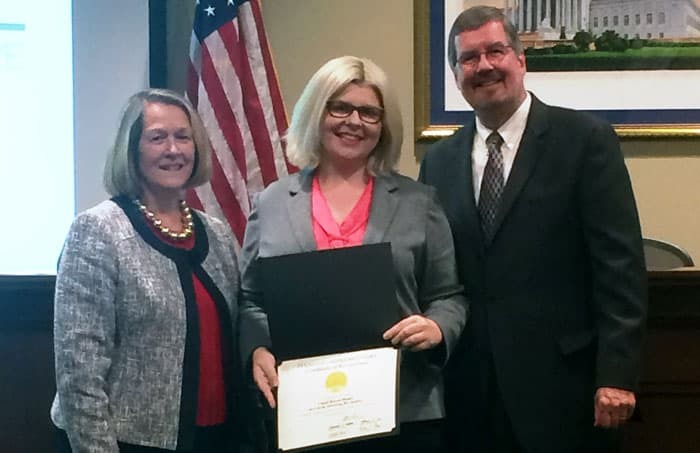 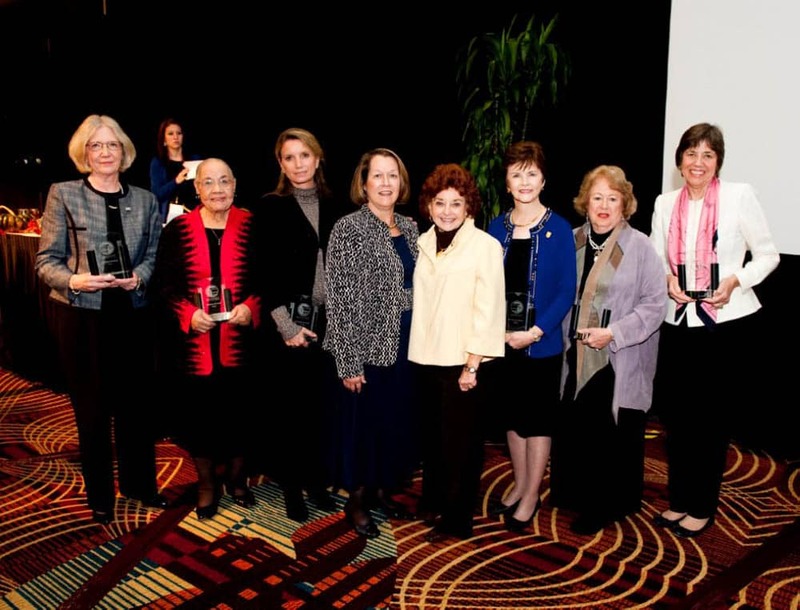 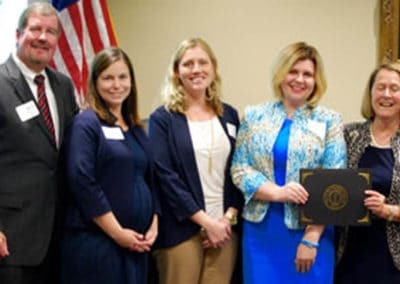 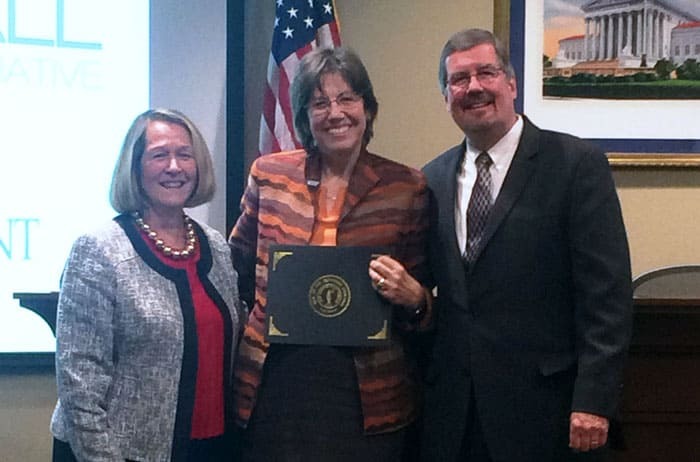 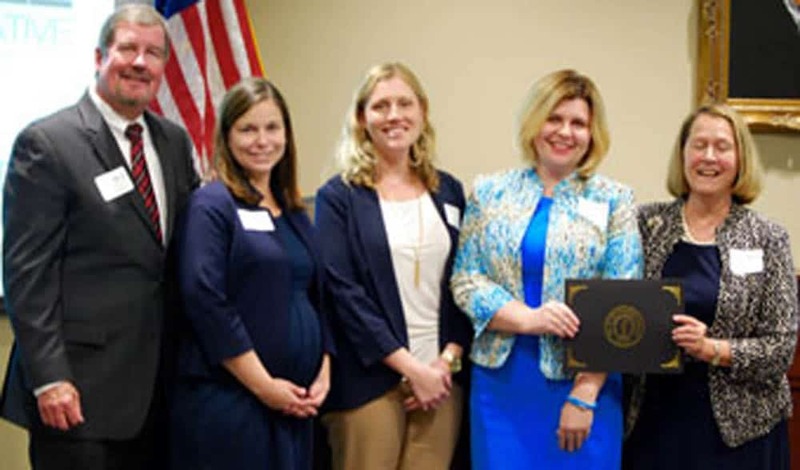 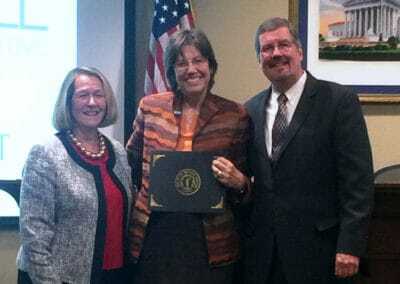 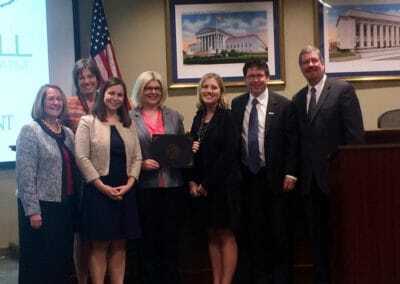 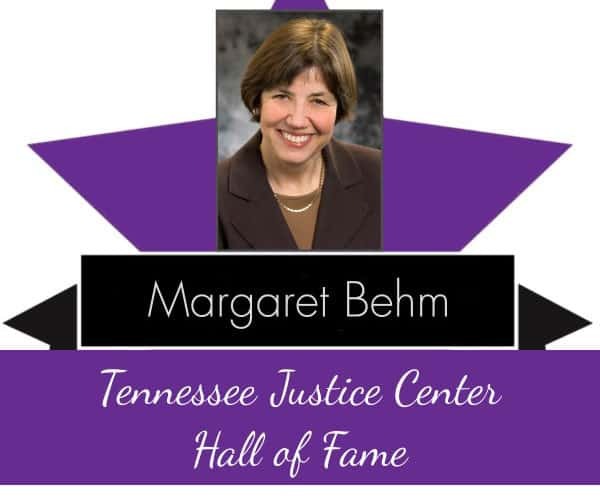 Margaret L. Behm received the B. Riney Green Award from Tennessee Alliance for Legal Services, for promoting inter-program cooperation and strengthening access to justice across the state. 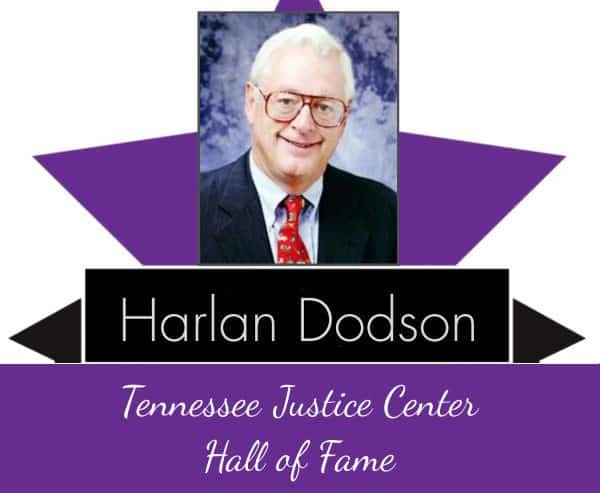 Harlan Dodson is instructor of Estate Planning and Administration at Nashville School of Law. 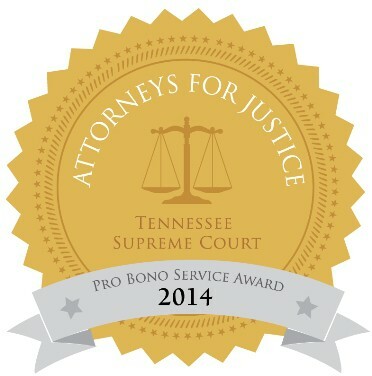 Tyler Chance Yarbro is an instructor of Trial Advocacy at Vanderbilt University Law School. 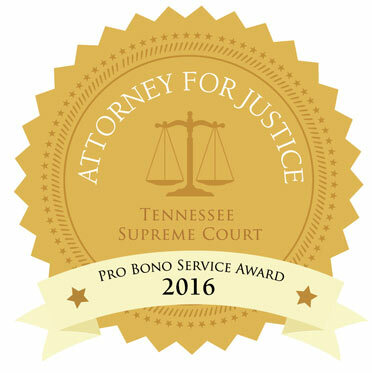 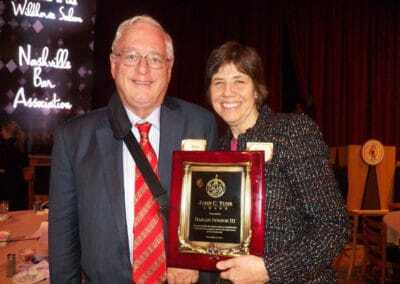 Michael Bressman is Associate Professor of the Practice of Law at Vanderbilt University Law School. 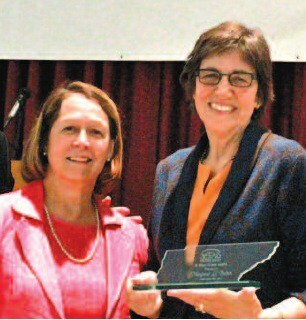 Candi Henry is Professor of Law and Legal Writing at Nashville School of Law. 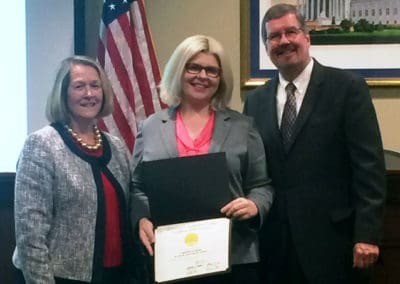 She previously served as adjunct professor of Conflict Management and Negotiation for Tennessee Tech University for seven years. 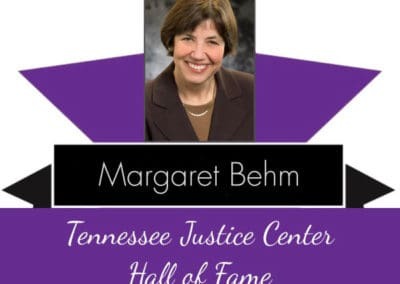 Margaret L. Behm served as an adjunct professor at Vanderbilt University Law School for more than 30 years, teaching courses such as Legal Writing, Trial Advocacy, and Legal Professionalism & Practice.